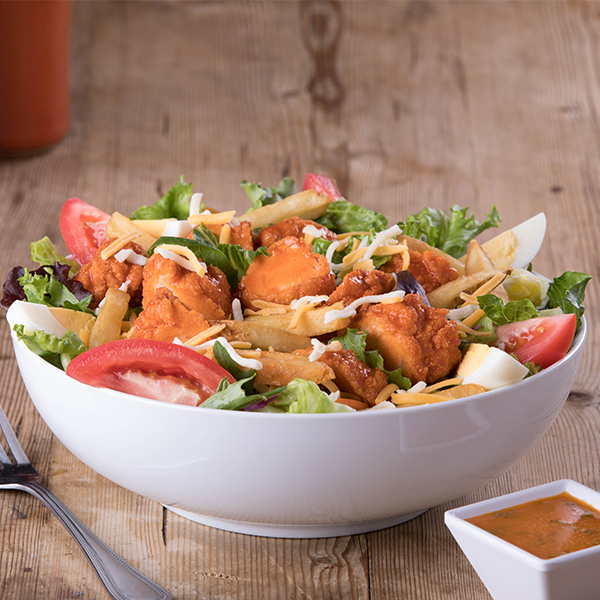 A crisp blend of iceberg, romaine and spring mix topped with Frank’s RedHot Buffalo Sauce tossed buffalo chicken, fries, tomatoes, hard-boiled egg, and shredded Cheddar Jack cheese. 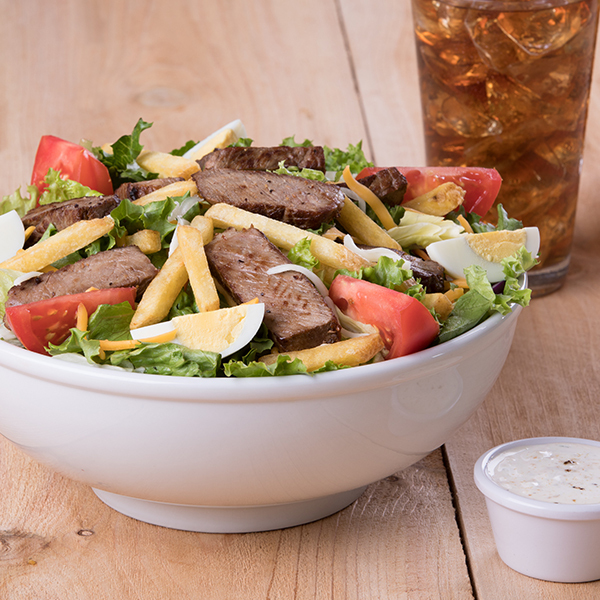 A crisp blend of iceberg, romaine and spring mix topped with grilled steak, fries, tomatoes, hard-boiled egg and shredded Cheddar Jack cheese. Romaine lettuce topped with a grilled chicken breast, crispy bacon, fresh sliced avocado, diced tomatoes and bleu cheese crumbles. 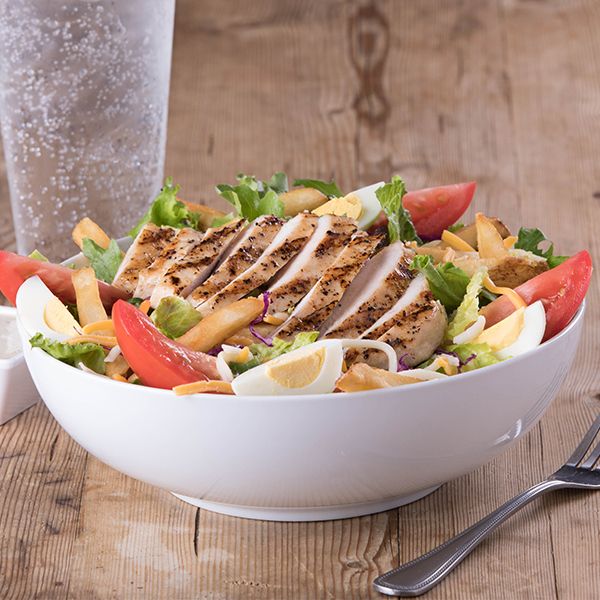 A crisp blend of iceberg, romaine and spring mix topped with a grilled chicken breast, crispy bacon, tomatoes, hard-boiled egg and shredded Cheddar Jack cheese. A medley of garden-fresh greens and crisp veggies. Blue Cheese, Thousand Island, Honey Mustard, Balsamic Vinaigrette, Fat Free Raspberry Vinaigrette, Fat Free French, Red Wine Italian, Red Wine Vinegar & Oil, Ranch. 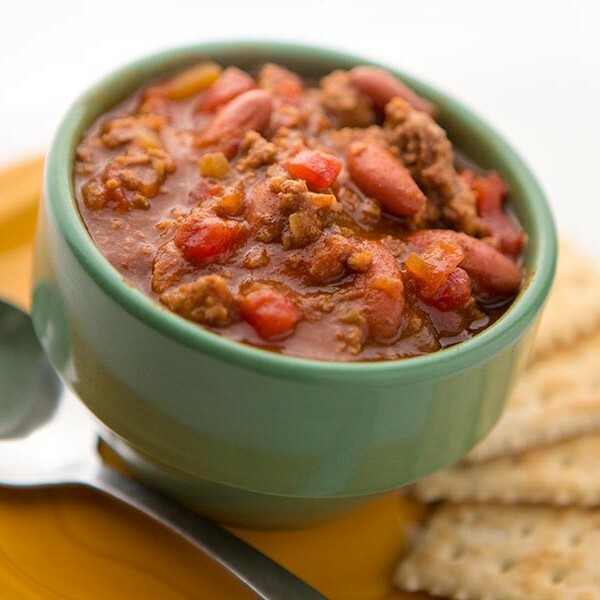 Ground beef, diced tomatoes, dark red kidney beans, green peppers and onions slow simmered in a hearty tomato broth for hours. Cup or Bowl. A Kings Classic – prepared the same way for over 50 years! 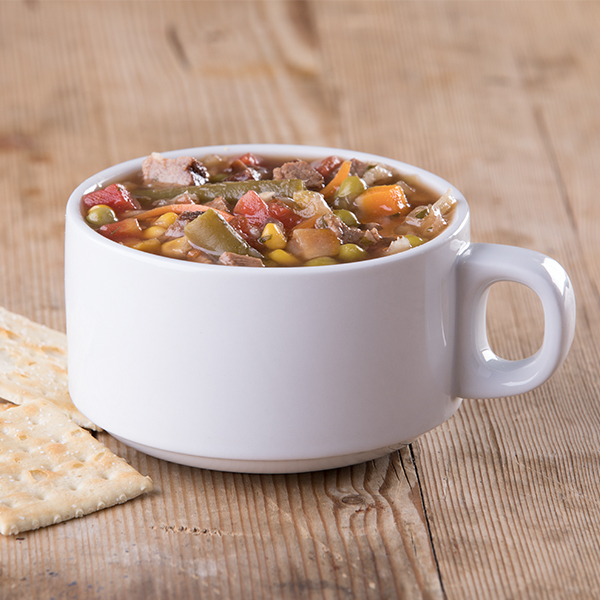 Tender beef slow-cooked in a hearty tomato broth loaded with carrots, corn, tomatoes, potatoes, green beans, celery and cabbage. Cup or Bowl. 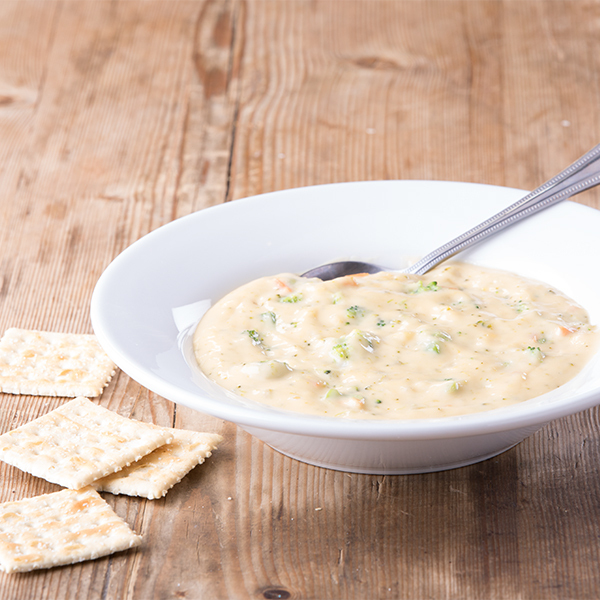 Chopped broccoli and grated cheddar cheese slowly simmered in a creamy broth seasoned with herbs and spices. Cup or Bowl. Ask your server. Cup or Bowl.